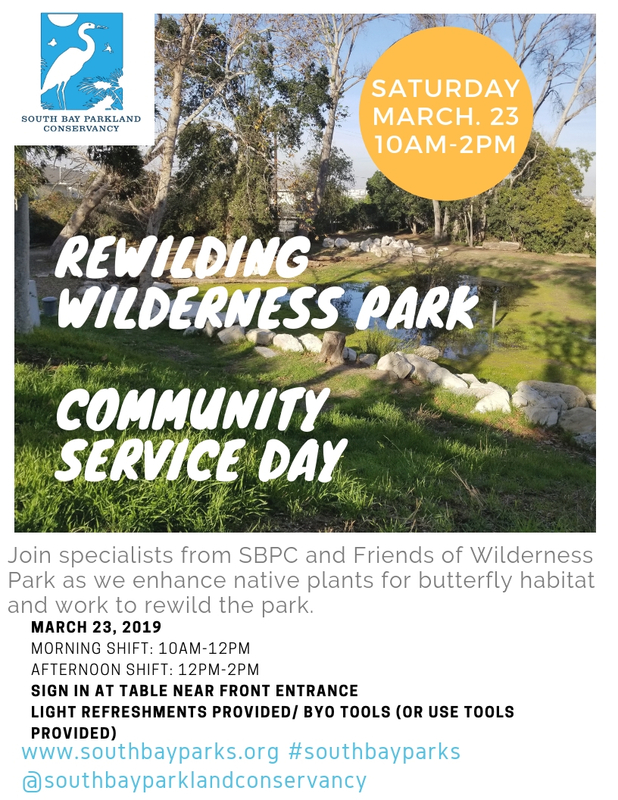 Join SBPC this Saturday, March 23rd for another day of rewilding in Wilderness Park. This effort will focus on fore dune restoration as we enhance the beauty of the hillside with a diverse community of native shrubs and wildflowers. Help us maintain this habitat for native wildlife like the El Segundo Blue Butterfly by removing invasive plant species. No experience necessary. Children under 14 years of age must be accompanied by a volunteering adult. All participants must sign a waiver at the the time of service. Minors must bring a waiver signed by their parent/legal guardian. Community service hours available upon request.